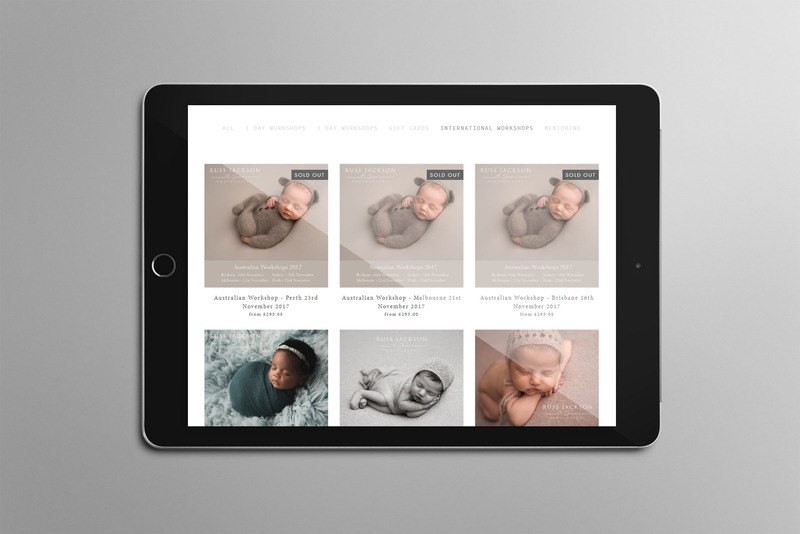 Russ Jackson is an extremely talented photographer with a successful North London studio, specialising in newborn photography. 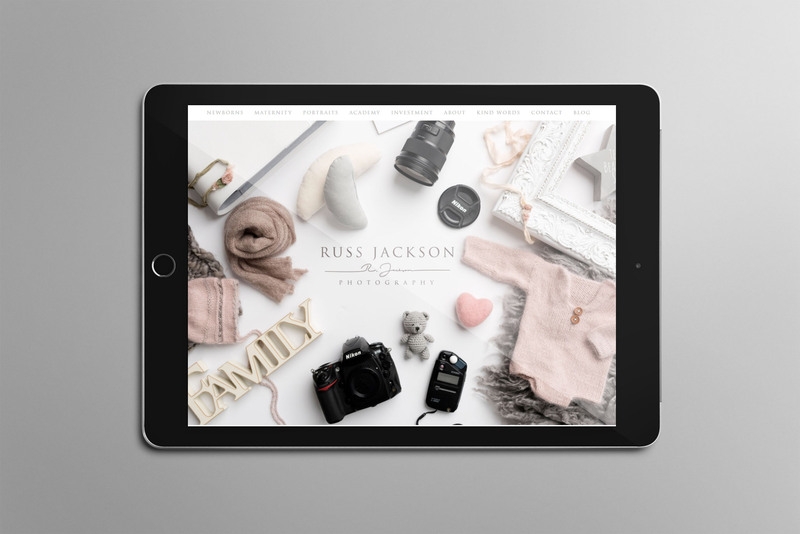 Russ wanted to create a unique brand identity which would really appeal to his target audience, but also a website that would meet all the needs of his rapidly expanding business. 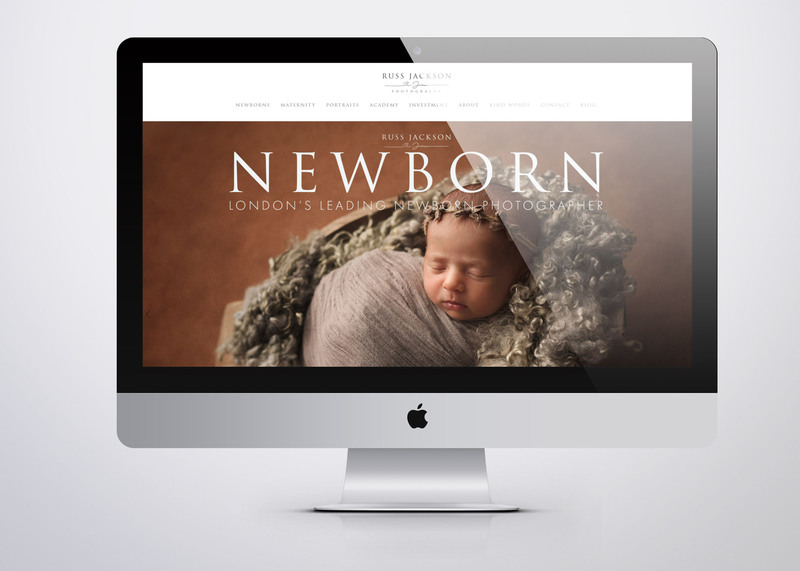 The website needed to reflect his new brand architecture; with Newborn, Portrait, Maternity and Academy divisions – each linked, but holding a slightly different appeal to different clients. 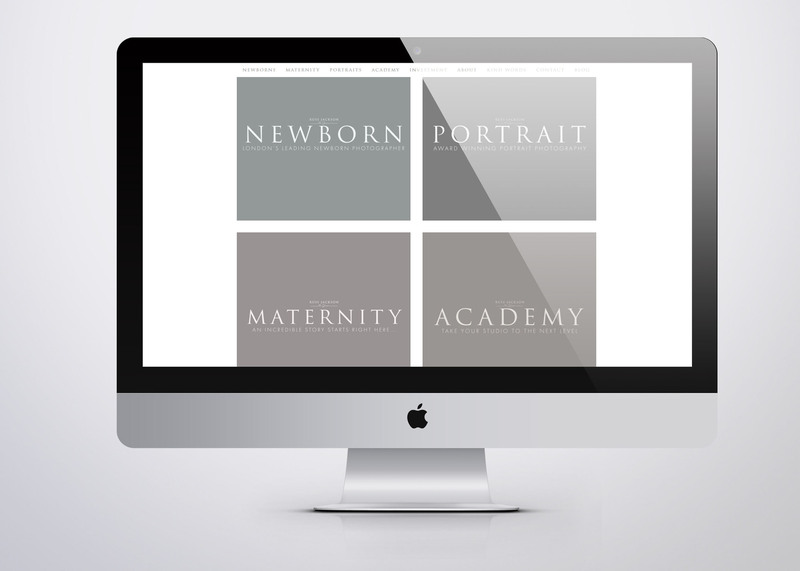 It also needed to provide a smooth enquiry system, host a range of easily customisable galleries and allow visitors to view an ever growing range of international workshops – then book and pay for their placements, while ensuring stock limits where not exceeded. 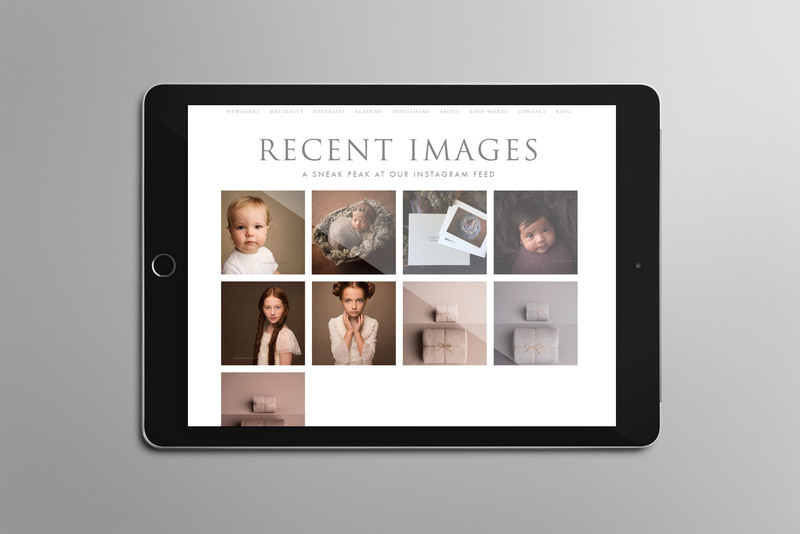 Squarespace was the perfect platform to host such a website; it is highly customisable and really lends itself to websites with strong visuals. 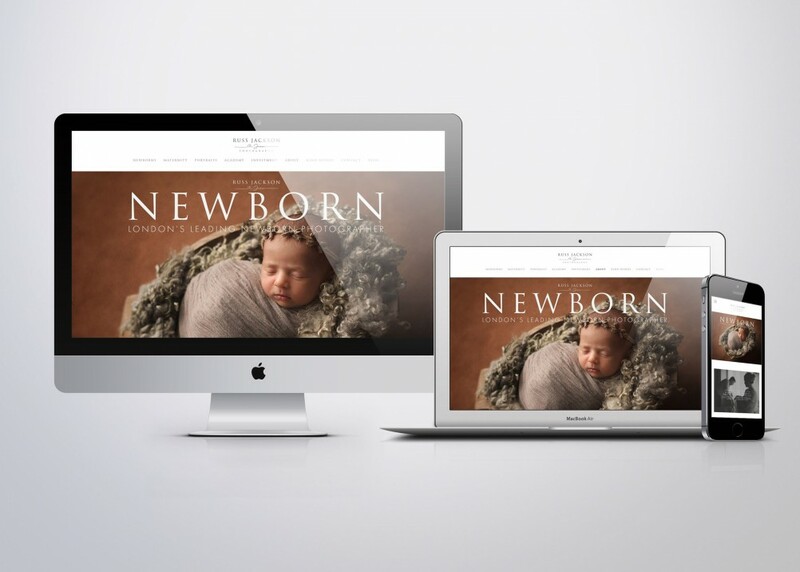 With such incredible photography to draw on, the goal was really to ensure the design and layouts drew all the attention to the imagery with minimum distraction. We decided that a visitor to the homepage should be shown only relevant information as soon as possible – and so a series of hero banners illustrate the four sections of the website. After scrolling past the about section, the visitor is then given a choice as to which section they require. 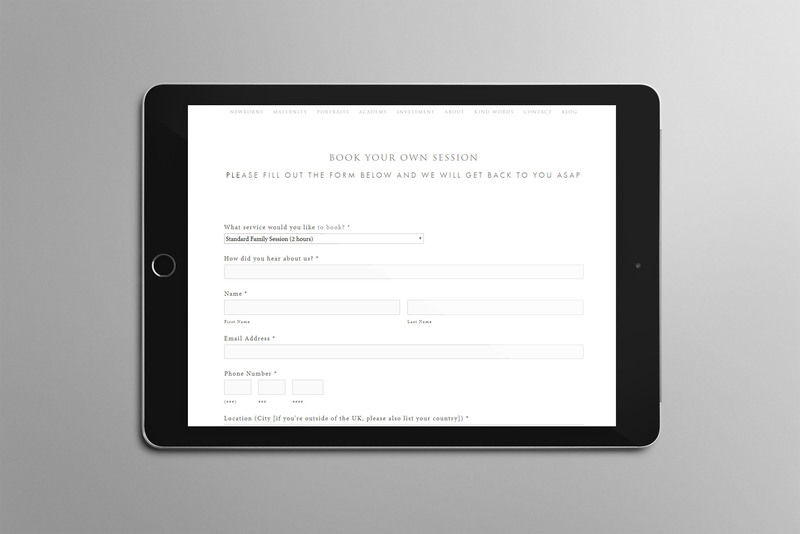 This ensures they are taken straight to a section where all the images they see will be relevant to them, and the descriptive text and FAQs should resonant with each category of visitor in a way that simply couldn’t be achieve with a free-for-all mixture of galleries. 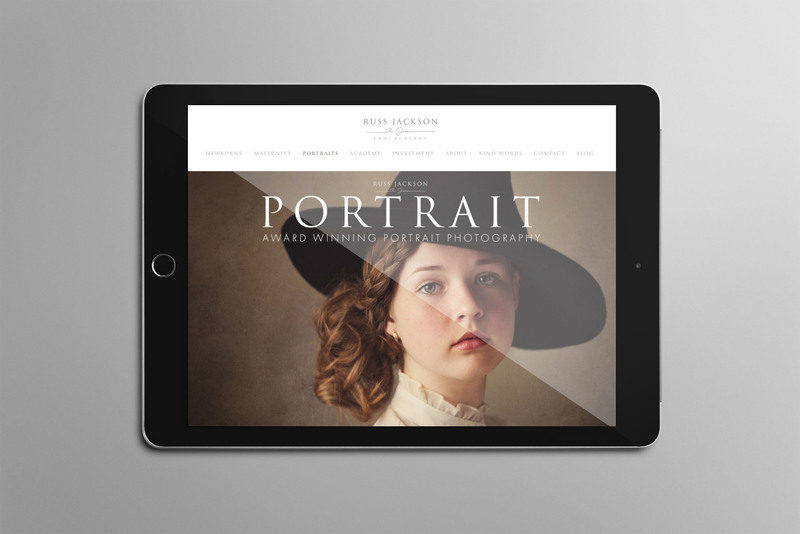 It was important that the website followed the look and feel set by the branding; establishing Russ as a leader in his industry and conveying a sense of the elegance and natural style which has made his photography so popular.